I was recently involved in designing an exhibit for sun conures, and was inspired once again to consider their suitability as pets and as birds for public exhibit. In their latter role, they are unparalleled – splashed in bright orange and yellow, and possessed of boundless energy, they never fail to delight zoo and aviary visitors. I furnished the exhibit mentioned with dead tree limbs and grapevine, and the new inhabitants lost no time in amusing themselves for hours on end.Pet conures, however, are often not so fortunate as those housed in public exhibits, since not everyone can deal with their loud voices and need for attention and exercise. 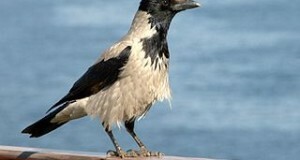 People are often lured by the group’s spectacular plumage, and may not consider all that is involved in owning such a bird – they can be wonderful pets, but only in the right situations. Of course, not all conures are noisy – although none of the 42 species, all native to Central and South America, can be termed “quiet”. The smaller ones, such as the green-cheeked, black-capped and maroon-bellied conures, are good choices if you are looking for a quieter, (but not quite “quiet”!) pet. 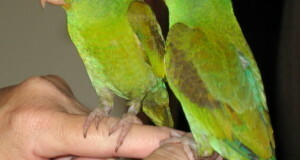 The Patagonian, nanday, mitred, red-fronted and other medium to large conures tend to cause a racket. That being said, I must admit that a group of Patagonian conures I worked with at the Bronx Zoo were among the friendliest and most interesting birds I have ever run across. Vocal tendencies aside, there can be no doubt that the sun conure makes a charming pet. In addition to its brilliant coloration, it is very playful and has a friendly, curious demeanor. The jenday conure, perhaps even more outgoing, is also a great companion bird – but is among the most vocal of the group. I have 2 Jendays myself and they are so noisy! They are always calling to each other or me! They are even vocal when they eat! However, I would not trade them for the world! Hello Annie, Frank Indiviglio here. Nice to hear from you again. Thanks for the post – your note illustrates perfectly the mindset that is shared by all good parrot keepers…many of the problems we see re abandoned parrots stem from people’s unrealistic expectations. 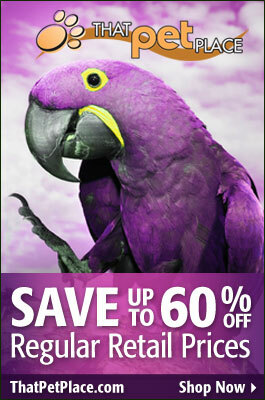 Healthy parrots in good environments are very noisy! I’ve been lucky enough to have observed several species in the wild – they never stop chattering…even in the vast expanses of Venezuela’s llanos country, the noise from various flocks of macaws was deafening! Pay attention to your birds’ “conversations”…eventually you’ll see that some order will emerge from the cacophony, and you’ll be able to understand more about their behaviors.